Browse > Home / Featured Articles / Crown Heights Killing – 20 years on. Crown Heights Killing – 20 years on. On Sunday, Rev. Al Sharpton gave his version of what happened 20 years ago in Crown Heights. But although he purports to have reflected on and learned from the riots, the truth is his recollection is egregiously distorted and sanitized…writes Norman Rosenbaum. Sharpton’s motivation for expressing his opinion at this time is unimportant; the fact that he has chosen to do so bestows a responsibility on us all to ensure that the truth is not sacrificed in the telling of our history. But he does not outright apologize for his conduct. And his conduct was reprehensible. Based on everything we have seen and read, Sharpton never called upon the rioters to stop their anti-Semitism-inspired violence. He never called on the rioters to go home. To the contrary, he stirred them up. And three days of anti-Semitic violence became the Crown Heights riots. Sharpton’s revisionism only serves to perpetuate the fallacy that the riots erupted organically from some underlying ongoing issues between the African-American and Jewish communities of Crown Heights. In other words, that profound tensions were boiling just beneath the surface and were suddenly unleashed by the tragic death of Gavin Cato. 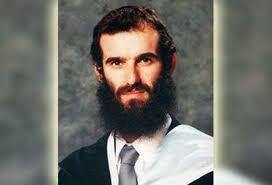 It was a mob of about 30 who attacked and murdered Yankel, of which 28 have never been brought to justice. For 20 years, these people have lived free, and continue to do so, among the African-American community. Instead of invoking the words of the Rev. Martin Luther King Jr.and Rabbi Abraham Joshua Heschel to legitimize and humanize his opinion, Sharpton would be far better received if he dedicated his efforts to bringing each and every one of those 28 people involved in the crime to justice – prosecuted, convicted and incarcerated. But that is not a priority in Al Sharpton’s world. He has given us no genuine expression of remorse. No real regret for what he did. It is not an apology, it is not the truth, and it certainly should not be interpreted as either. Norman Rosenbaum is the brother of Yankel Rosenbaum, who was stabbed and killed by a mob in Crown Heights, Brooklyn, in August 1991. Isaac Abraham, spokesman for the Rosenbaum family, contributed to the article. The article first appeared in The New York Daily News.